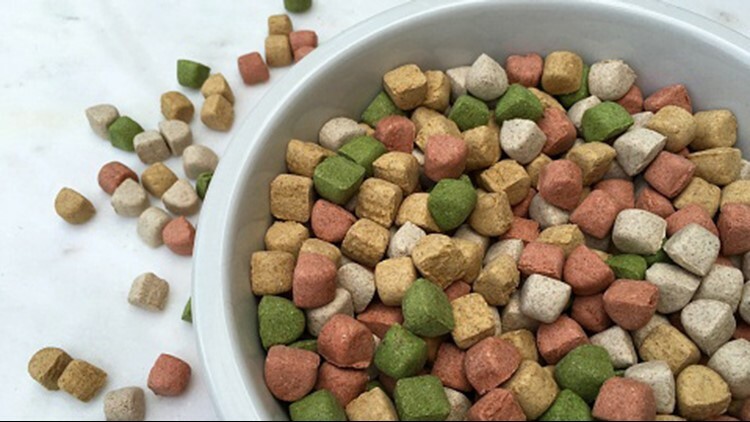 Nutrisca is recalling their 4-pound, 15-pound and 28-pound bags of Chicken and Chickpea Dry Dog Food. The FDA announced a recall from a St. Louis dog food brand because of elevated levels of vitamin D.
Bags affected have a Best By Date code of Feb. 25, 2020 through Sept. 13, 2020. The best by date code can be found on the back or bottom of each bag. Dogs ingesting elevated levels of Vitamin D may exhibit symptoms such as vomiting, loss of appetite, increased thirst, increased urination, excessive drooling, and weight loss. Vitamin D, when consumed at very high levels, can lead to serious health issues in dogs including renal dysfunction. Consumers with dogs who have consumed any of the products listed above and are exhibiting these symptoms should contact their veterinarian. -from the Food and Drug Administration website. Nutrisca advises consumers to throw the food away or return it for a full refund. Anyone with questions can call the company at 888-279-9420 from 8 a.m. to 5 p.m. CST or email them.